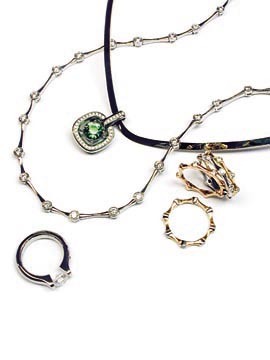 18 kt white gold hand forged collar with green tourmaline and diamond pendant. Platinum and/or 18 kt gold rings. Platinum Tension Set ring with 1.62 ct diamond.